To master the skillgame Fast Circles you need good reactions! The circle is constantly moving and with it the three colors on it. It is your task to drop a ball from above and hit the circle at the field with the same color. To make this happen, you have to wait for the circle to be in the right position to touch the ball and make it fall down. With a sharp eye and good concentration you might even get the high score! 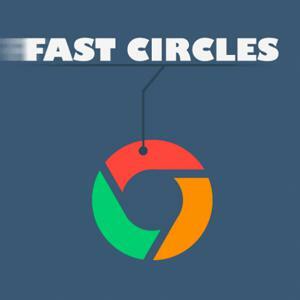 Fast Circles - Find Fast Circles in our vast HTML5 games catalogue. Only the best and newest HTML5 games for all audiences. Guaranteed success with Famobi.